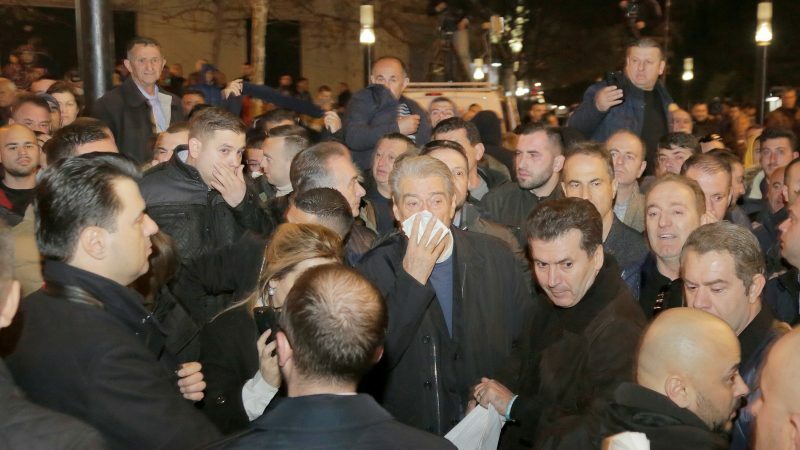 “We will be back, our battle will continue until this government is overthrown,” Lulzim Basha, leader of opposition Democratic Party, told the crowd as clouds of tear gas moved them away from the police cordon. The anti-government protesters tried to break the police cordon several times and threw smoke grenades and rocks at the parliamentary building, guarded by a heavy police contingent. “Rama, go away!” they chanted, referring to Socialist Prime Minister Edi Rama. The protesters, who turned out in response to a call by opposition parties, demand Rama’s resignation and the formation of a transitional government that would be tasked with organising early elections. The opposition accuses Rama, in power since 2013, of corruption and links with organised crime. Opposition lawmakers from both right-centre and left-centre parties quit the parliament accusing the government of having manipulated the results of legislative elections in June 2017. “This parliament is illegitimate,” Monika Kryemadhi, the leader of the Movement of Socialist Integration, told protesters, urging them to meet again outside parliament on Thursday. 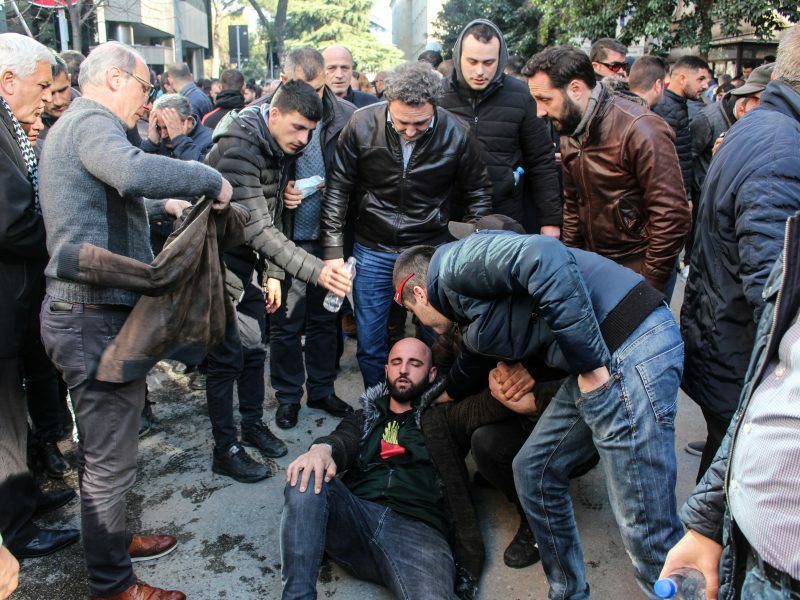 Leftist and rightist parties in Albania are known for exchanging insults and accusing one another of corruption or links to the organised crime. Rama told local media in Tirana that “desperate opposition efforts…(and) actions could be fatal for the opening of June negotiations” for membership in the European Union. Albania hopes to open accession talks with the EU this year, but the country of 2.8 million people is required to make a significant progress in fight against corruption for the negotiations to start. The Socialists have 74 MPs in the 140-seat parliament. Oh, what accession talks? Edi Rama is not interested in joining EU. He’s just a kleptocratic narco-trafficker making money out of everyone and everything. A pity for the country and its people!! !